By forming a powerful coalition, Safway Group Canada and Dalco have dealt a decisive blow in the war on corrosion in industrial facilities throughout western Canada. Safway Group Canada, a leading supplier of scaffolding, specialized access equipment and industrial services, acquired Dalco, a family-owned specialty coatings company in Alberta, Canada, in August 2016. 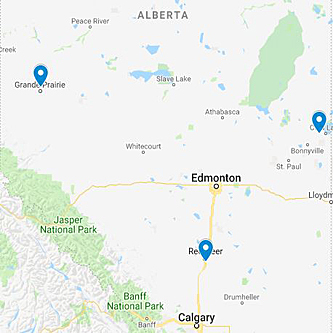 By combining forces, industrial customers throughout western Canada now have an especially potent partner to protect their facilities from the ravages of corrosion. Both companies have extensive experience serving the industrial market. Safway’s expertise in access, insulation, and fireproofing complements Dalco’s array of high-tech weapons in coatings, pipe lining and abrasive blasting. Dalco has served western Canada for three generations, specializing in turnarounds, inspections, and in-field maintenance and repair. Safway is a recognized leader in providing safe, productive access and insulation solutions in the often hard-to-reach industrial spaces where the fight against corrosion is waged. Boasting one of the best engineering teams in the business, plus powerful imagining technology, a wide range of specialized equipment, crack work crews and state-of-the-art process management software, Safway can put Dalco’s workers and equipment into just the right spot so they can deliver safe, high-quality work. Dalco has made a name for itself as an innovator, developing a computerized, auto-mated system to internally line pipes from 2 to 60 inches in diameter with 100-percent solid epoxy materials, said Derrin Dalton, president of Dalco. His company is also an expert in the use of low-dust surface preparation methods, which include Sponge-Jet and induction methods. “Lots of companies do this work on new capital projects, but Dalco is a leader in surface prep and coating in rehab situations,” Dalton said. “That’s a whole different game because it requires a higher level of expertise and capability. That’s been our business model and focus. Dalco has been ISO 9001-2008 certified for more than a decade and has maintained an ISO-formatted quality assurance program since 2004. Dalco has been SSPC QP1 certified for complex structures in the field since 2013.